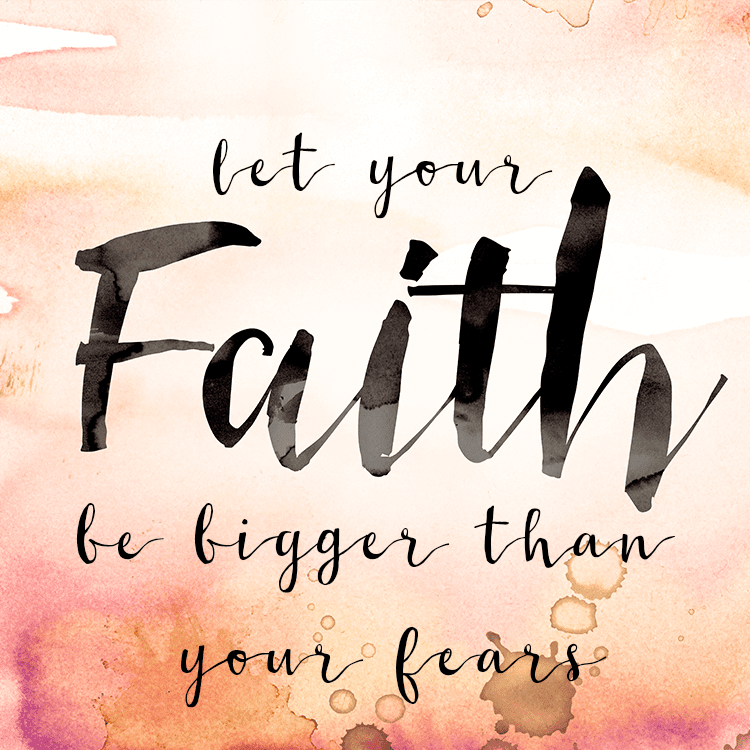 I always see and say myself: Let Your Faith Be Bigger Than Your Fear! How do you let your FAITH take over so you do not live in fear of what is next? That is a tough one that I have been pondering for a long time. You see I have FAITH. FAITH in what I believe. You know what will be, what is next, the future, the unknown. I always say "Thy will be done" , "What will be will be" but who am I kidding? Do I really BELIEVE that? Do I really practice that? I try but it is HARD to let it all rest in his hands. I know if I could I would control the outcome and believe me I have tried, really tried at times BUT...it often times backfires. There in lies the reason why I should let it go...But yet I continue to stress and worry...to my demise. 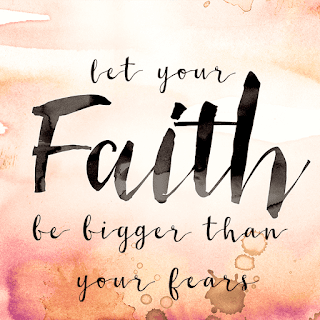 How do you let your faith be bigger than your fear?